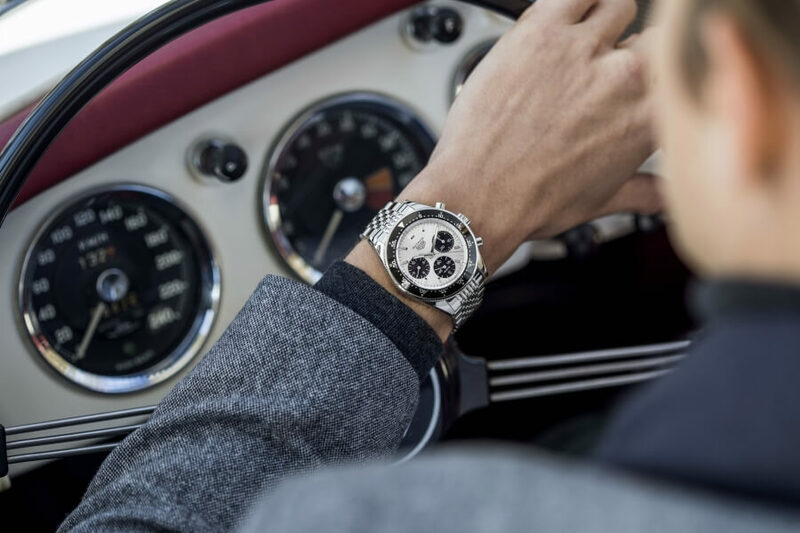 The chronograph made legendary by racing drivers in the 1960s and much coveted on the collectors' circuit is making its comeback in 2017. Today, TAG Heuer and Jack Heuer, the brand's Honorary President, are very proud to present a limited edition of the iconic Heuer chronograph – the Autavia – to celebrate the 85th birthday of Jack Heuer, the creator of the watch. The number 1/1932 of the limited edition will be part of the exceptional timepieces at the auction “Heuer Parade” organised by Phillips on the 11th of November in Geneva. 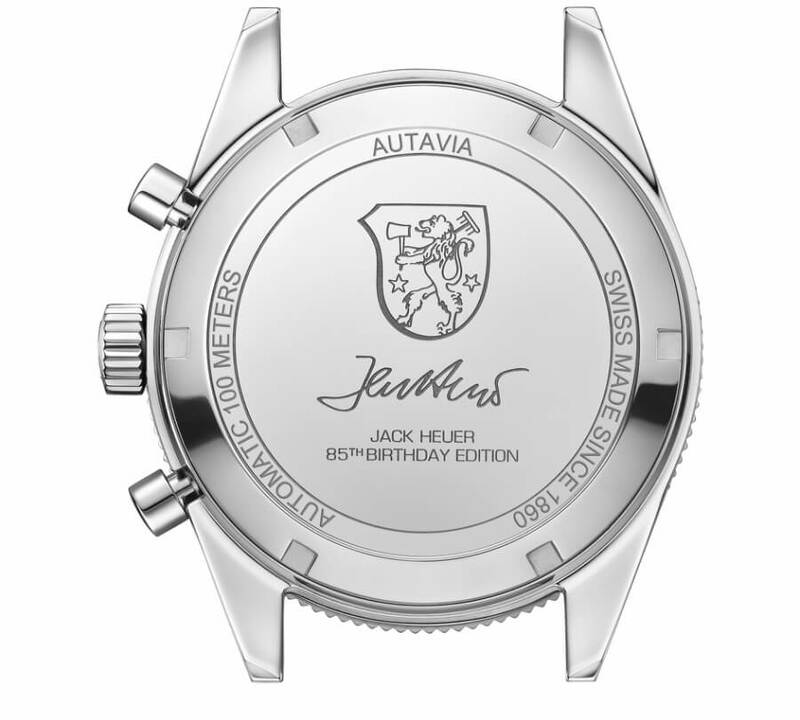 This new reissue, limited to 1932 pieces – in reference to the year of Jack's birth – has been designed by Jack Heuer himself. The timepiece is both modern and faithful to its roots, capturing the spirit of golden age motor racing. More imposing than its ancestor — 42 mm in diameter compared to 39 in the 1960s — with a 12-hour graduated bezel and a new Heuer-02 calibre proprietary chronograph movement, the latest generation Autavia carries the DNA and aesthetic codes of the original, updated for today's market. 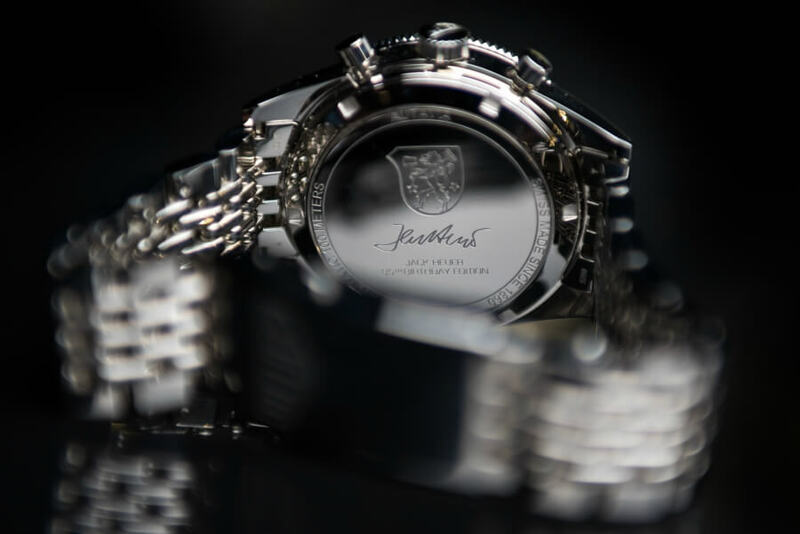 Its functions are tailored to modern requirements: a self-winding calibre, power reserve of 80 hours, date at 6 o'clock, water resistance to 100 metres. In black aluminium, the bidirectional notched bezel encircles a silver dial with three black snailed counters in an optimal layout. A legible, balanced display with hands and applique indexes in steel coated with beige Super-LumiNova. A vintage look updated with touches of modernity, grounded in the real world. Mushroom push buttons, a ridged crown, the Heuer logo and a "grains of rice" steel bracelet for a vintage feel. The studied neo-retro style encompasses the minute track subdivisions, employing the "1/3-2/3" ergonomic rule of the era created by Jack Heuer to enhance legibility and accuracy. Let us return now to the story of the Autavia. In 1933, Heuer designed the first dash counter for racing cars and aircraft: the Autavia chronograph. The name was a contraction of AUTomobile and AVIAtion - as ingenious an invention as the model's timekeeping functions. 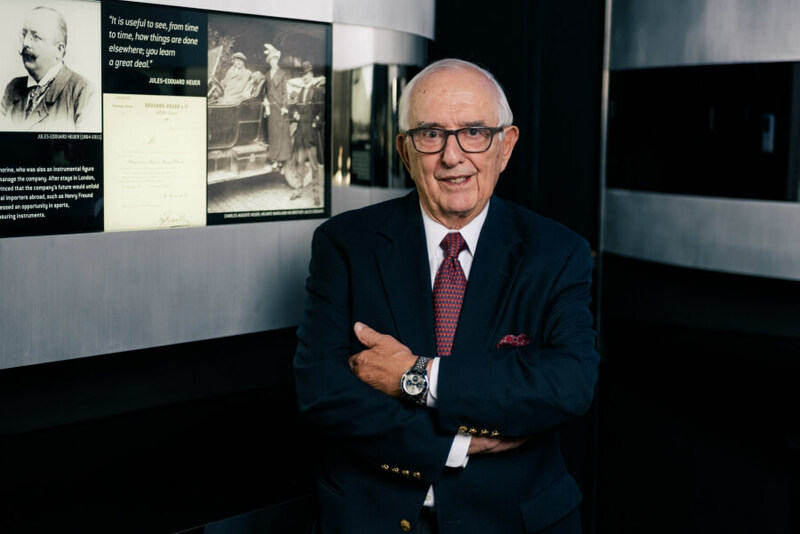 Three decades later, in 1962, Jack Heuer, the fourth generation head of the company, created his first wrist sports chronograph. Its innovative signature: a rotating bezel. 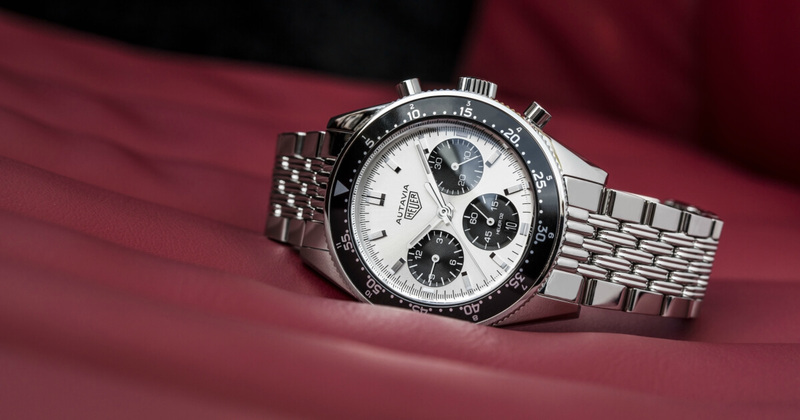 The Autavia name was reborn with this new, complete and extensive range. In the catalogue until 1986, its numerous executions were extremely successful, remaining to this day among the most sought-after collector's chronographs. 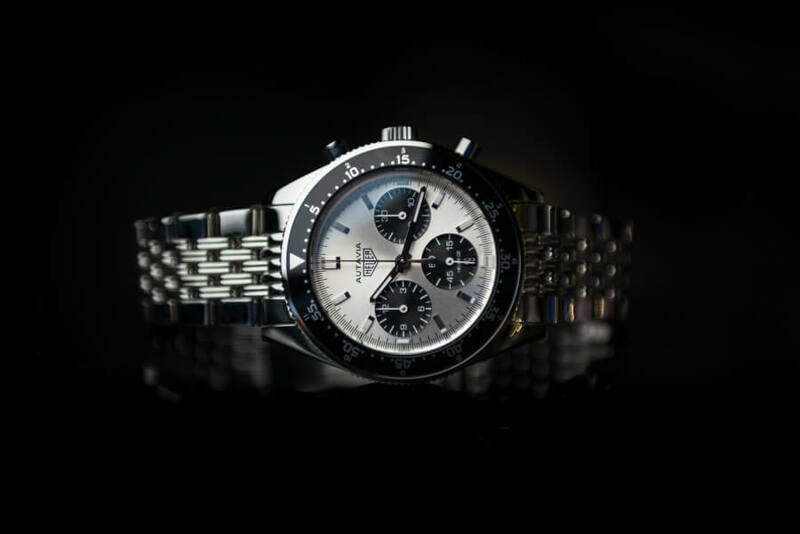 The first reissue of the Autavia was presented at Baselworld 2017, following the "Autavia Cup". From a selection of 16 vintage models, over 50,000 web users voted for their preferred reissue. 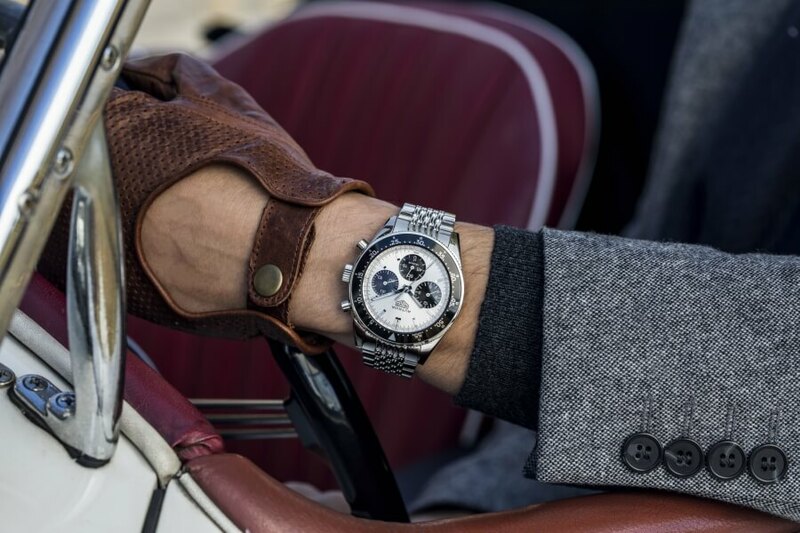 It was the Autavia Rindt, worn by legendary F1 driver Jochen Rindt, which won the most votes.